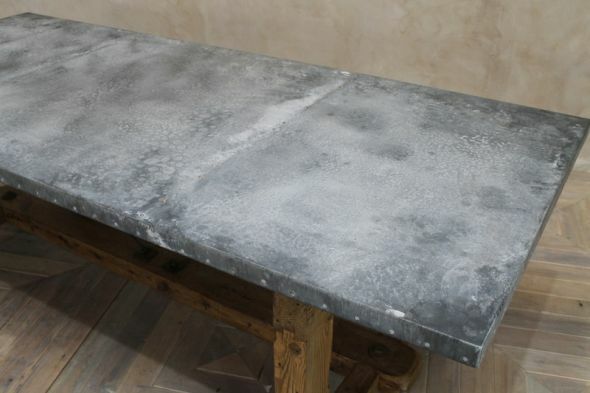 This zinc dining room table comes from our industrial style furniture range. 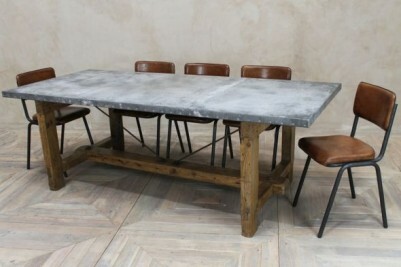 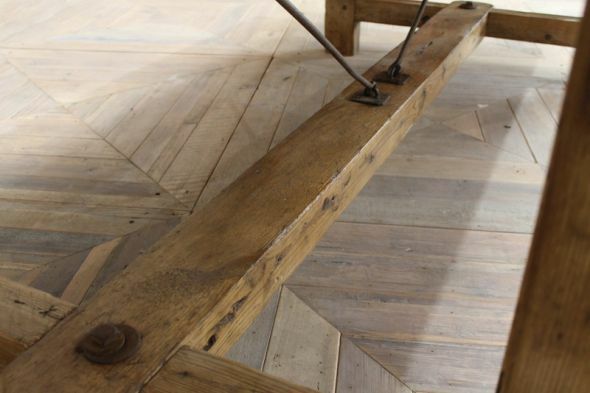 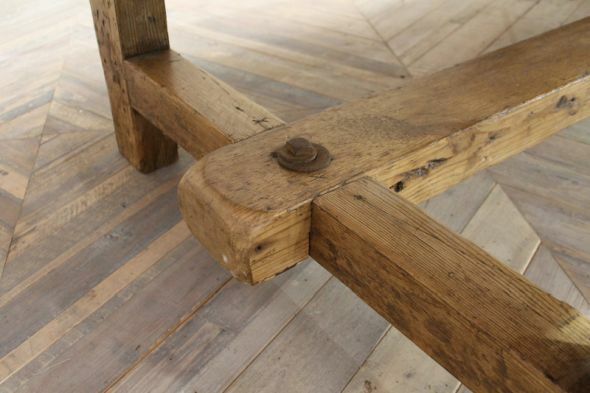 You could use this table in a large kitchen, or equally as a feature in a restaurant. 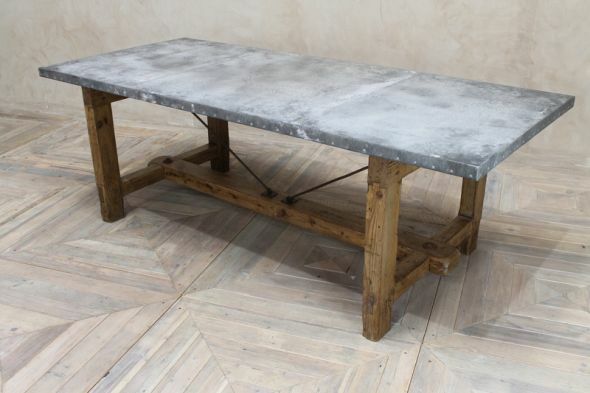 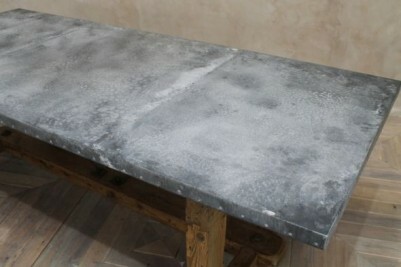 The table is a unique combination of a reworked zinc top and an original Victorian pine base. 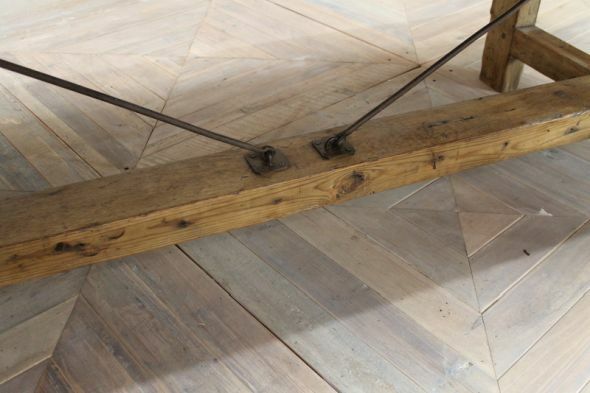 table is a great way to incorporate this trend into your interior. The table is photographed here with our tan leather ‘Chelmsford’ chairs, which can be purchased separately. 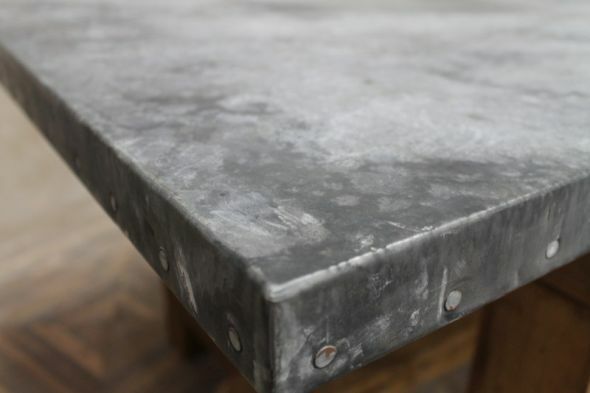 Although this table is in good condition, it may have some signs of wear and tear due to its age. 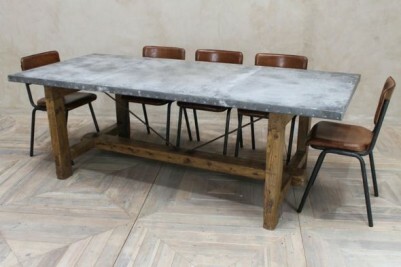 The price is for the table only.